This is from Bee Season by Myla Goldberg. 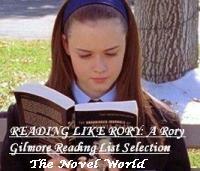 Its from the Rory Gilmore Booklist. There is more applause for misspellings than for sucesses, a consolation most spellers miss at the time of their defeat, the ding absorbing all other sound. Her first turn at the mike, Eliza focuses exclusively on the pronouncer and the microphone, too intent upon ensuring her survival to locate her father.